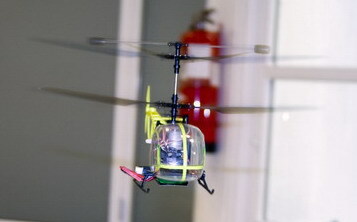 Coaxial helicopter is one of the more popular images that come to mind when people think about electric RC helicopters. And for good reasons too; these double-bladed helicopters is accredited with bringing hordes of new enthusiast into the world of RC aviation. Their popularity stems from their unequivocal stability in the air - which makes them relatively easier to master when compared to their single rotor counter part. They are also predictable enough to be flown within the compounds of one's home, securing its spot as one of the most loved indoor fliers. Being able to fly right out of the box because they are sold as RTF (Ready to Fly) kits adds to their appeal. So where did such stability come from? To answer that, the first step lies in understanding how helicopters work. 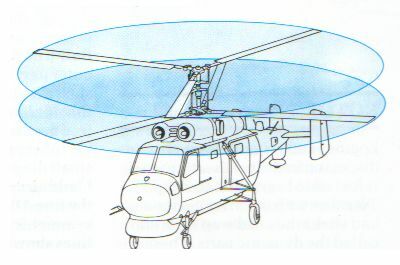 A single-rotor helicopter generates lift when their rotor rotates. As the main rotor turns, another force will also be generated - known as torque, which will in turn cause the entire fuselage to turn in the opposite direction. Since the days when helicopters were in their nascent stage, their pioneers have learnt to counter this effect by including another smaller perpendicular rotor in the tail. This rotor counters the any rotation generated by the torque as well as provides pilots a mean to control the direction in which the helicopter's nose is pointing at, more technically known as the yaw. To control the yaw, the pilot simply changes the pitch (or the angle) of the tail rotor. Coaxial helicopters, on the other hand, eliminate the need of a tail rotor completely. This is due to the fact that these fliers have two rotors, one on top of the other, rotating in opposite directions. 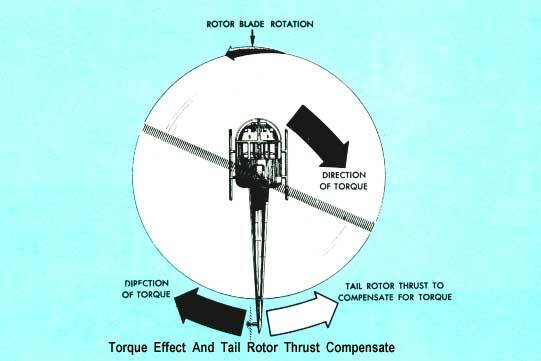 In effect, the torque generated by each rotor cancels out one another. When such feat is coupled with two rotors' lift complementing each other results in the extraordinary stability and hovering ability. Because hovering is one of the main components of a helicopter's flight, "easier to hover" is almost synonymous to "easier to fly". Controlling the yaw in this setup becomes only a matter of slowing or speeding up one of the two rotors. Another merit that comes almost as a bonus is that theoretically, these helicopters do not require a gyro - which means that much less tinkering and setting up is needed. Although very widely praised, coaxial helicopters are not without faults. The first one stems from the fact that in order to fly, the speed of the two rotor blades must be equal. In fact, these helicopters are so dependent on the synchronicity of its blades that even the slightest deviation is detrimental. So much so that these helicopters will just spin wildly on the ground, never to lift off. Their two motors simply have to always be in their most pristine state. Also, the stability of these helicopters comes at the price of sacrificed maneuverability; they are notoriously slow and unresponsive. Nevertheless, perhaps the utmost annoyance comes when the two blades bite into each other in mid air when most extreme cyclic controls are applied. All in all, coaxial helicopters are here to stay. They have become the favorite beginners' RC helicopter. At the same time, many experienced pilot enjoy a flight or two of easy indoor flying with these helicopters once in a while. Note: Although these coaxial helicopters are "relatively" easier to fly than their conventional counterparts, they still require hours of practice. Also, their fast rotating blade can cause just as much injury as bigger model helicopters. Therefore, never treat them like toys.